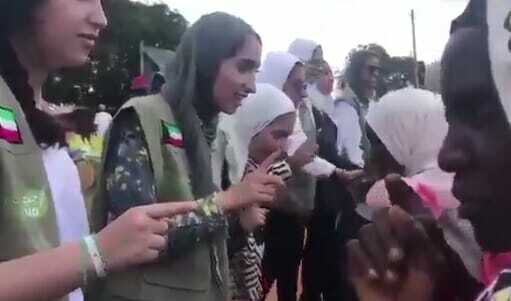 Video has emerged showing Kuwaiti aid workers forcing starving Africans to recite the the shahada before they get any food. The shahada is the Muslim conversion prayer. It’s not clear when this video was recorded.